10 Reasons Gold Could Go to $10,000 In the Next 12 Months! 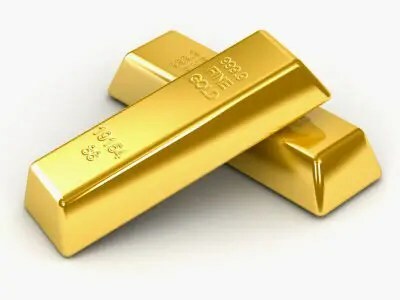 Buy Gold Today Or Pay More Tomorrow! As the world looks to “reflate” their economies, fiat currencies (dollar, euro etc) are being deliberately devalued by governments worldwide as a way to get out from massive debt burdens that were run up during “credit bubble” and continue at ever higher levels with “stimulus” plans. The U.S. very much wants and needs a weaker dollar and low interest rates as deficits and unemployment continue to soar. Fiat currencies will likely continue to be aggressively devalued over the next decade. China has $2 Trillion in foreign currency reserves (fiat currency) and only 2% in gold, vs. 75% for US and 10% worldwide average. With every .5% drop in the dollar the value of China’s foreign currency reserves drop by $10 billion dollars (a move happening daily recently). If China wisely decides to increase its gold reserves and reduce it fiat currency exposure to even just the worldwide average, gold prices could move substantially higher and stay at higher price levels. The gold industry has not replaced gold reserves mined in over a decade. Gold is simply too scarce and scarcity means shortages on the near term horizon. Shortages in gold means there is not enough physical gold available to cover the massive quantities of gold that has been “lent”, “leased” or “pledged”. This situation will only be exasperated going forward opening the real possibility of a major gold short squeeze and possible price spike pushing gold to the stratosphere (and keeping it there). Throughout history only 160,000 tons of gold has ever been mined. For folks who might not know, all the gold that’s ever been found would fit into two olympic-size swimming pools! At today’s prices that equates to $4.9 trillion dollars vs $60 trillion in outstanding fiat currency. As fiat currency continues to be deliberately debased look for this price relationship to invert. Hong Kong recently pulled all its gold holdings and deposits from London. Hong Kong wants to physically possess and control its gold and now does. Look for other countries to follow. Central banks are in the process of switching from net sellers of gold to net buyers, this is a major secular change and is likely to continue as other central banks look to follow suit diversify reserves away from heavy fiat currency exposure. Northwestern Mutual, considered a conservatively run yet savvy company, recently purchased $400 million worth of gold, its first purchase in 152 years. Its CEO Edward Zore believes gold could increase five fold. Look for other insurance companies to follow. The sovereign wealth funds of China, Qatar, and Saudi Arabia have begun heavily investing in commodities world-wide to diversify out of fiat currency (dollar, euro). Look for more SWFs to follow. Respected and widely followed fund managers are publicly piling into gold and/or out of the dollar and other fiat currencies including John Paulson, Bill Gross, Paul Tudor Jones, Kyle Bass, Andrew Hall, David Einhorn, Paolo Pellegrini, John Burbank, Sri Kumar, David Rosenberg (economist), John Hasenstab, Evy Hambro, Donald Coxe, John Brynjolfsson, Henry McVey, Eric Sprott, Steve Leuthold and David Tice. Look for other major mutual funds, hedge funds and pension funds to follow the leaders. Traditional gold hedgers (producers, miners etc) such as Barrick, the world’s largest gold company, are eliminating their hedge books…essentially taking the cap of the market…as gold supplies dry up producers are no longer locking in prices by selling massive quantities of futures contracts…this takes selling pressure off and indicates producers believe prices will be going much higher. Look for all producers to unwind their hedge books. The world is changing rapidly. Old world powers, like the US, are making room on the stage for new world powers like China. Previous deep pockets are being displaced by new even deeper pockets: Central Banks. All of the above indicates the possibility much higher prices to come. The first movers in all the categories above (central banks, insurance companies, funds, sovereign wealth funds) will have the advantage of getting in at lower prices. Late movers will be forced to buy at higher prices. When the herds move in one direction to buy it can cause a huge impact. Got Gold?